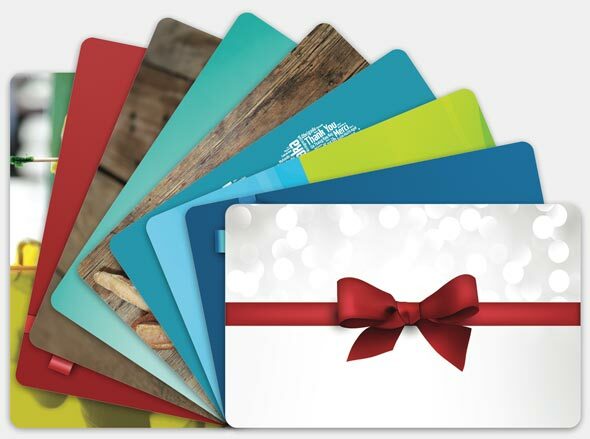 Build a return customer base with our gift card program. MyGiftCentral is the key to brand recognition and loyalty. Choose from an array of beautiful signature cards or customize your own design at MyGiftCentral. Gift card popularity is rising every year and is the most sought after and requested gift for all occasions. Attract new customers, increase brand awareness, improve sales and reduce fraud with your new CPAY gift cards. Promote your products and services and encourage new customers to visit your store. Use your own photos and logos with unlimited design options. And with monthly updates to our signature card series, you’ll always staying fresh for all your favorite occasions. Using your own equipment, like a Verfione VX520, RiO Retail or RiO Restaurant, swipe your gift card to load any desired amount to a new card or reload another. You can also check the balance on an existing card, and more. Learn more about the Verifone VX520, RiO Retail and the RiO Restaurant. Although gift cards are often set to a specific amount, many customers end up spending more. It’s a win-win situation for your business and the customer.